Hurricane Maria: Puerto Rico Report from the Presbytery of New Jersey Disaster Relief Committee. The three OP churches in Puerto Rico belong to the Presbytery of New Jersey (PNJ). Members of the PNJ will be visiting Puerto Rico again at the end of January to encourage the congregations to make full use of the evangelistic opportunities before them. Hurricane Maria exposed our vulnerability and revealed the power of God. Spiritual needs have now come to the surface, and the restoring power of Jesus is seen even more clearly. The Jesus Es La Verdad congregation will be celebrating the ordination and installation of OPC licentiate and pastor-elect Roberto Quinones on March 3, 2018. Members of the PNJ will be traveling down to participate in this joyous occasion, which the church hopes to celebrate with the local community as a means of outreach. 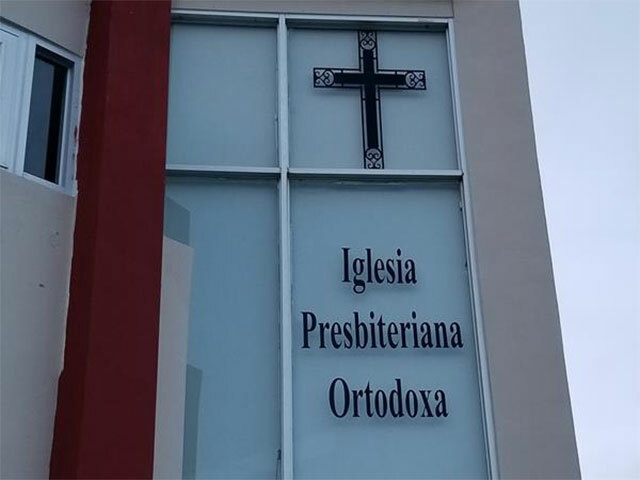 The Reformada congregation in San Juan is thankful for the completion of construction that enables them to open their doors and hearts to their neighbors. Pray that ongoing outreach efforts into their neighborhood would bear fruit. Pray also for the Arroyo congregation’s outreach into their neighborhood. Following Hurricane Maria, some needs became known immediately. Others have shown up only later. Refrigerators have lain dormant for five months. Now that the power is back on in Puerto Rico, the refrigerators of at least two members have refused to go back to work. Generous donations that have been received into the OPC’s Hurricane Relief Fund are being used to repair a roof and a rental facility, and replace refrigerators, as those needs arise. The need for mercy shows up immediately in broken homes and families. The need will show up later, too. May the Lord use Word and Spirit to bring about healing.